CDStartDummy! creates autoplay CD-ROMs with the ability to launch any file type you wish ranging from web page presentations to movies. You can include your own splash screen graphic, custom CD icon, sound effects, custom window sizes, and more. Installation builder that will deliver your software with a good first impression: a smooth installation. 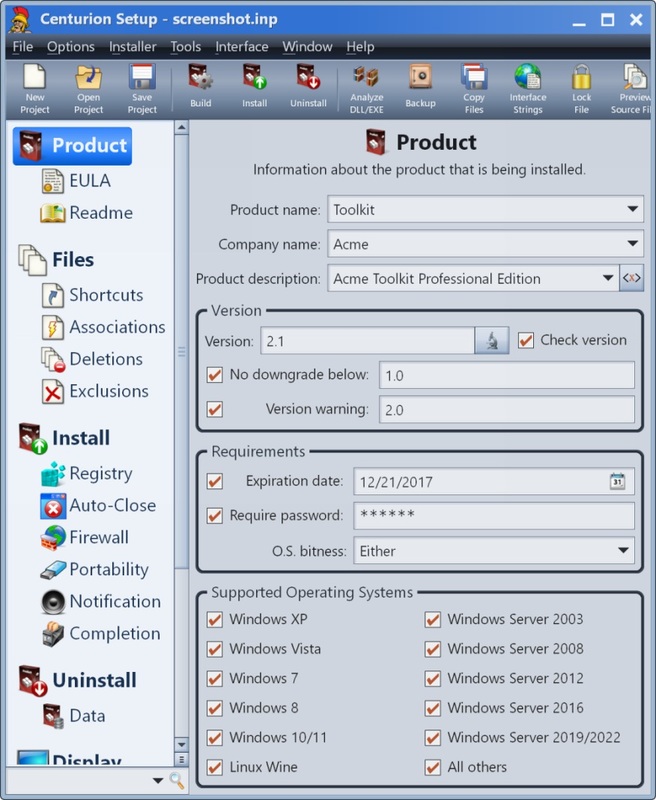 Computer novices enjoy its ability to install your software without asking any questions, while computer experts enjoy the control and feedback it offers when they click the Advanced Options button. You will enjoy both the positive response from your customers and the ability to effortlessly build those setup packages with DeployMaster. 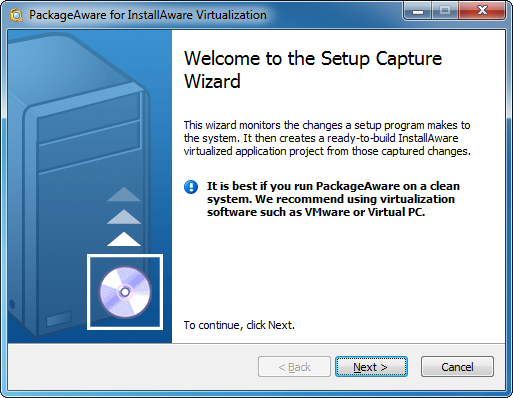 InstallConstruct is an installer program, designed with user-friendly Wizard that makes creating Windows Installer, Packages, Setup Wizards, and Uninstallers easy. It doesn't require the user to have programming background. InstallConstruct not only creates Setup Wizards and HTML-based installations, it automatically saves each step of your work as a script file (*.adx), which saves you from the repetitive task of creating similar packages. 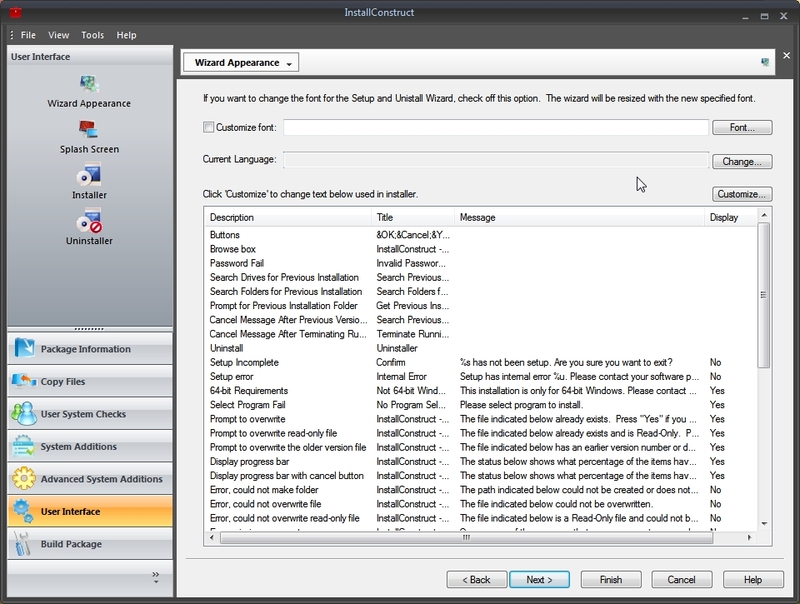 Install Simple is a very compact and powerful utility to build your installation packages in seconds, instead of hours! Setups are packed into single exe-file for easy distribution. The extractor module has extremely small size (only 24 KB overhead over compressed data size). Using a very practical and intuitive assistant, you can establish parameters for the installation process of your product for any Windows platform. Install Simple is a very compact and powerful utility to build installation packages in seconds, instead of hours! Setups are packed into single exe-file for easy distribution. The extractor module has extremely small size (only 24 KBytes overhead over compressed data size). Using a very practical and intuitive assistant, you can establish parameters for the installation process of your product for any Windows platform.